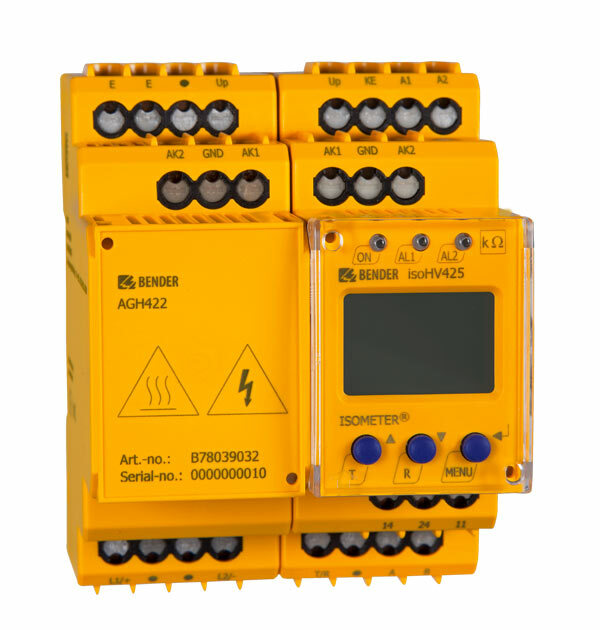 The ISOMETER® of the IR470LY series is designed to monitor the insulation resistance of unearthed AC and three-phase systems (IT systems) AC/3(N)AC 0…793 V. In combination with a coupling device, the Isometers can also be used for higher voltages. An external supply voltage allows de-energized systems to be monitored too. The systems to be monitored should not contain DC components. Due to the measuring principle, insulation faults downstream of directly connected rectifiers are indicated with increased response sensitivity. The set response values apply to the pure AC system only. 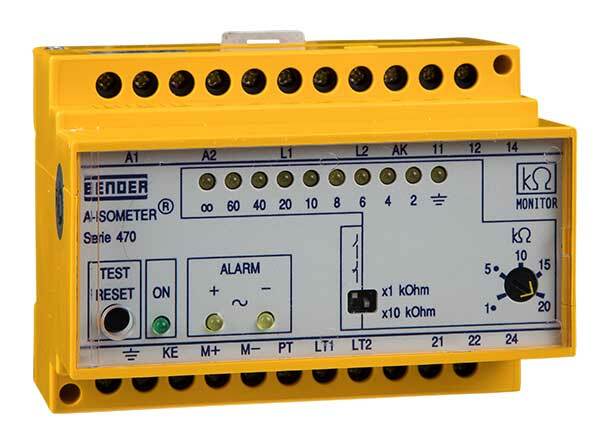 AC, 3(N)AC main circuits (without directly connected rectifiers), such as motors, pumps, rolling mills without variable-speed drives, air cooling and air conditioning systems, lighting systems, heating systems, mobile generators, building services, domestic electrical installation practice, etc.